Please meet our guest writer, Elly, who shares a Chinese New Year yoga class. A dancer from a young age, Elly fell in love with yoga in high school after finding a Power Yoga class on VHS at the library (which she practiced at night so her little brothers and sisters wouldn’t laugh at her). After graduating with a Bachelors of Fine Arts in Dance, she began a regular yoga practice and completed a 200-hr Vinyasa yoga teacher training in Costa Rica with Jacqueline Heisel of Frog Lotus Yoga, International. She has also completed trainings with Street Yoga and Global Family Yoga. This year, January 31st begins the Year of the Horse, and celebrations will last for weeks in many parts of Asia, but the holiday is celebrated in almost every part of the world. After spending three years living in Taiwan, my winters back home in the US feel brighter when I find ways to celebrate Chinese New Year—keeping me in touch with a culture that I fell in love with and a place I adopted as another home. I created this class last year for my 4s-5s at Kids’ Work Preschool in Chicago, where I taught yoga & creative movement classes that went along with their weekly educational themes. Next, we clean the house, a traditional family activity at New Year to prepare for a fresh start. I played the song “Pleasant Trip to Jingchou.” To clean the ceiling, stretch arms high in Standing Upward Reach. Next, wash the dishes with a variation of Lotus Tree. Standing on the left leg, hold right ankle with right hand. Use the left palm to “scrub” the bottom of right foot (the dirty dishes! ); change legs and repeat. To wash the floor, stand in Wide-legged Standing Forward Fold and use hands to wash the floor in circular motions. Lastly, lay on the belly in a variation of Locust Pose/Superhero to reach under the bed in search of dust bunnies. Come back to a circle after the rest, sitting cross-legged. Wish each other prosperity for the Year of the Horse with this gesture: Make a fist with the right hand and cup left hand around the fist. Shake hands slightly forward and back at each friend around the circle, saying Gong xi fa cai, or “congratulations” for the new year (see https://goodcharacters.com/newsletters/gong-xi-fa-cai.html for pronunciation). Elly teaches to share her love of movement in a supportive, creative, and nurturing space. She believes that any form of movement practice should be fun and inspiring, and deepen our relationships with ourselves and the world around us in a meaningful way. Elly has lived and taught yoga to children and adults in Iowa, Taiwan, Chicago, and is currently living in New York. 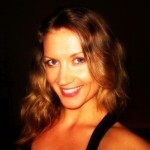 See more of her lesson plans and writing about kids’ yoga at www.elovinyoga.com under the “Little Friends” tab. 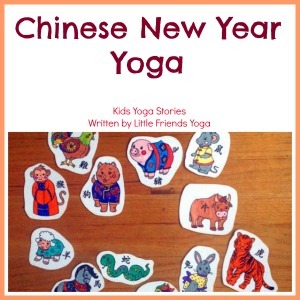 Celebrate Chinese New Year through yoga activities for kids! Be a rat, rabbit, and rooster! 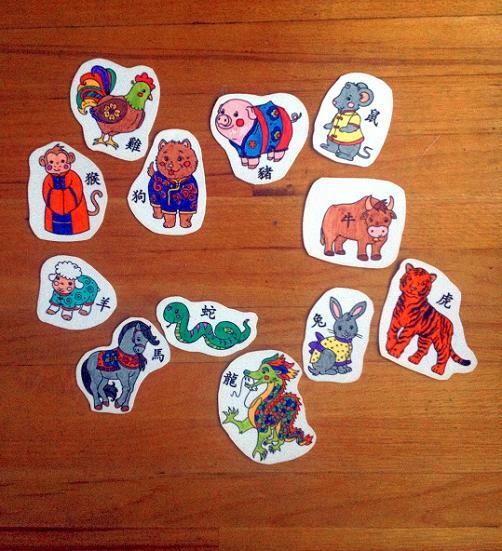 Act out the twelve Chinese New Year Zodiac animals through yoga postures for kids. 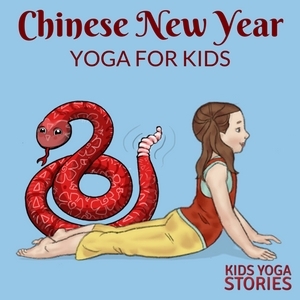 Instantly download these Chinese New Year yoga cards to celebrate this special holiday through movement in your home, classroom, or studio. Includes an Index Card, Yoga Tips, Pose Instructions, 12 Yoga Pose Cards, and 12 matching Zodiac Animal Cards. Recommended ages: 3+. 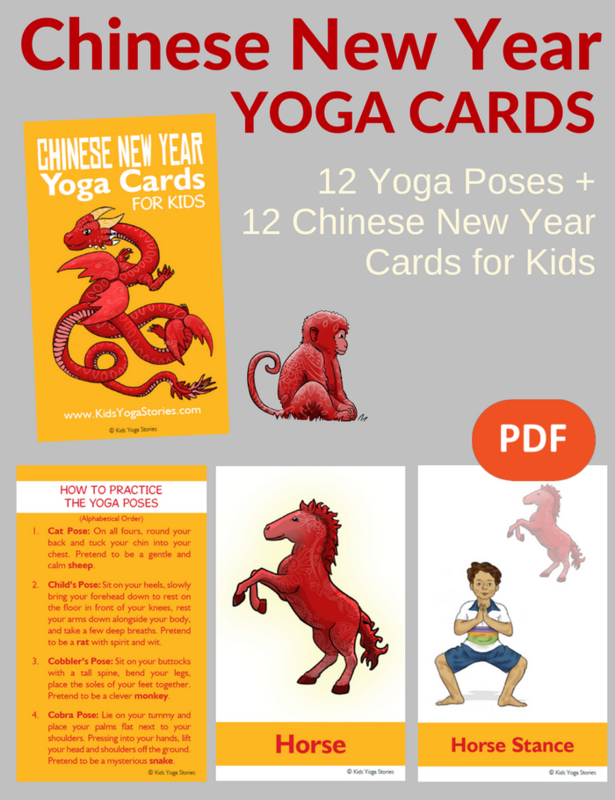 Purchase your Chinese New Year Yoga Cards for Kids PDF Download here. Looking for yoga tips and kids yoga resources? 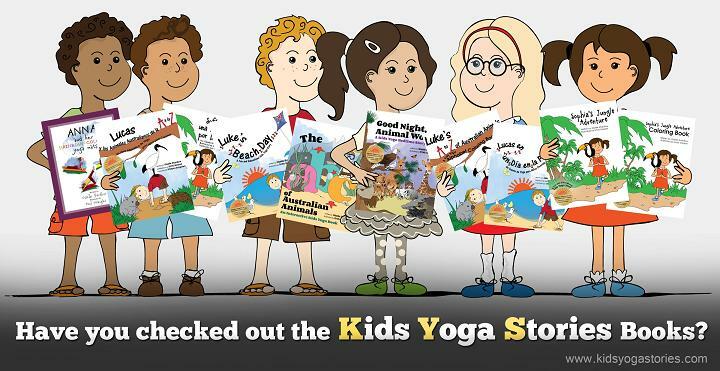 Sign up for our weekly Kids Yoga Stories Newsletter by adding your name and email address to the box at the top of the page! This is so thought out and brilliant. Thank you, I will be using some of your ideas tomorrow for kid’s yoga! !